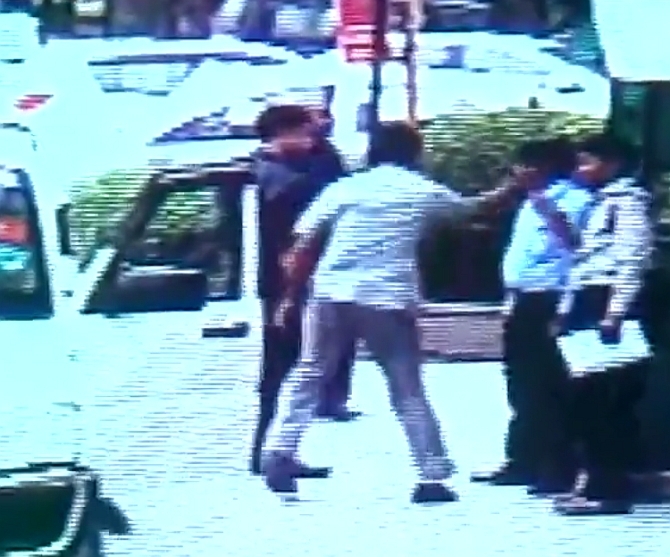 Union Culture Minister Mahesh Sharma has landed into controversy after his personal bodyguards were caught on CCTV camera ruthlessly thrashing security guards of a society in Ghaziabad. 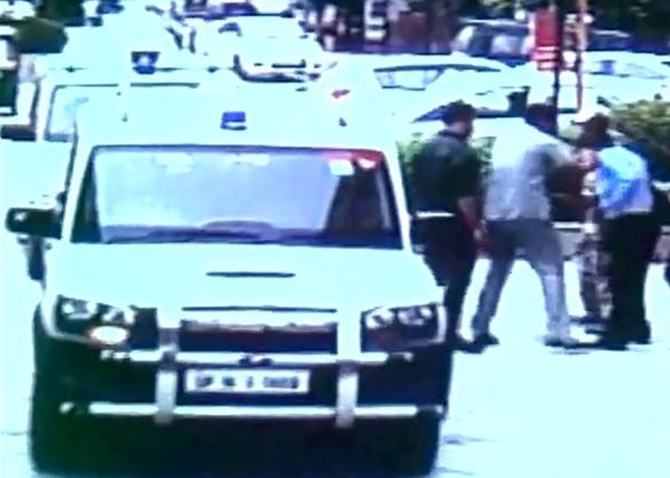 In the CCTV footage which was shared online by ANI, the minister's bodyguard is seen thrashing the security guards without any provocation from the latter's side. "There were about five vehicles. We told them to wait for two minutes after which the minister's bodyguard started beating us. All three of us were brutally beaten up by the bodyguard," a security guard told media persons. The culture minister, who reportedly did not intervene, later said that he had apologised to the guards for his security detail's behaviour. According to media reports, as Sharma’s entourage moved away, the officer in question was seen pointing a finger at the guard saying something at first. A moment later, he could be seen slapping and thrashing the guard while yelling at him. A guard standing next to the man tried to save him from being beaten, but he too was slapped repeatedly in return. After stopping for a while, the security officer also made threatening advances towards the third man standing at the scene. He then came back and slapped the guards again. Other security officers finally stopped him. A housing society official said that they were not happy with the behaviour and would approach the police.